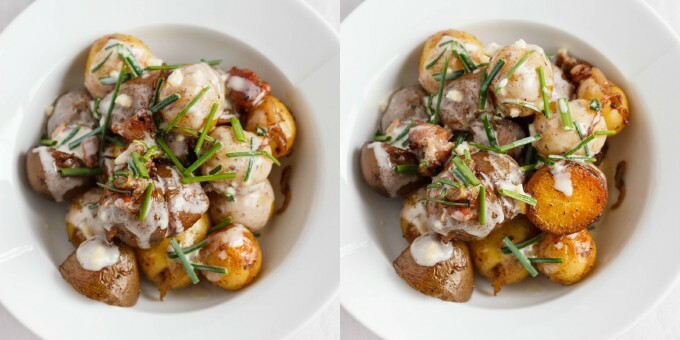 Pan-fried Creamer potatoes and bacon with a yogurt-chive sauce is a perfect side dish to a large meat-based meal! Find out more with my latest recipe working with The Little Potato Company and their Creamer Potatoes! I have had some comments and emails from readers asking me what to pair with a specific main dish. I never realized how bad I was at it until these questions began pouring in! I mean, I do make sides, but often I eat those sides as mains because the main course is a meat recipe and my side is usually a vegetarian recipe(working perfectly for my family.) Plus, with my need to create new and awesome recipes, I often make a couple throughout the day, resulting in my daughter and husband eating meals throughout the day that would not normally be deemed “main-dish material.” Even today’s pan-fried Creamer potatoes and bacon with a yogurt-chive sauce recipe was made early enough where it was still lunch, but not late enough for dinner. 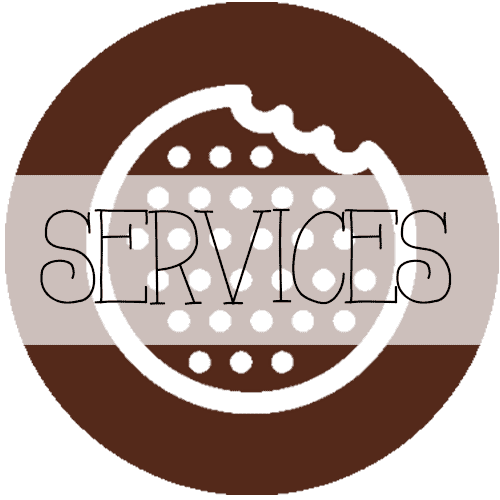 After shooting some photos I asked the family to be my taste-testers and soon afterwards my husband told me: “I am eating all of this today.” That is an awesome compliment for me! 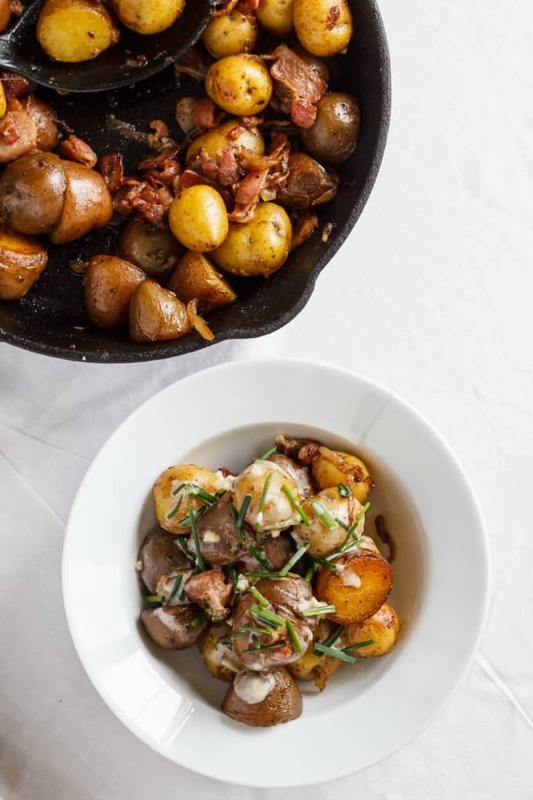 The inspiration for this recipe actually came from another Little Potato Company recipe that I made in the past, and is probably one of my most popular recipes. It is where my journey began and how I became introduced to The Little Potato Company (just over 8 months ago!) Since then, the adventure has been an amazing experience and I have created so many potato recipes that have become regulars here in our household. 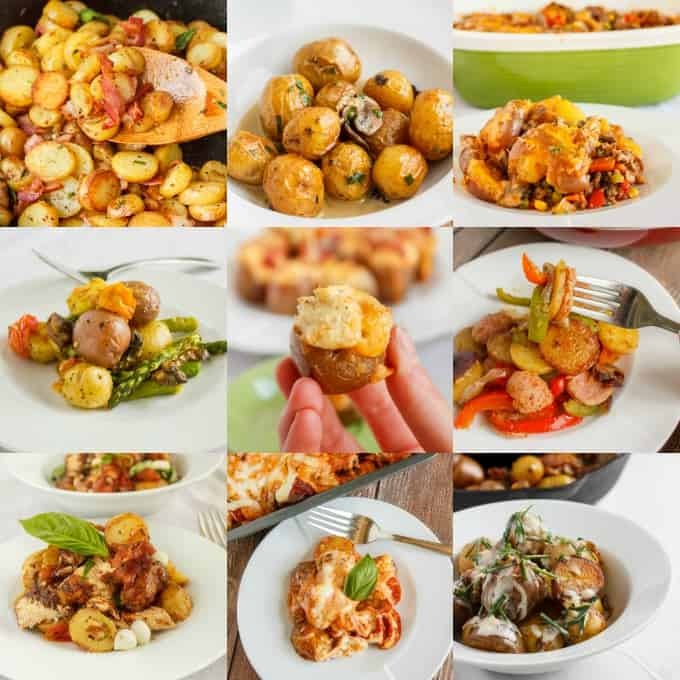 It is amazing what you can do with Creamer potatoes, and some meals are made even easier with the use of The Little Potato Company’s Microwave Ready Packages. They are the perfect side when I finally say “enough!” after cooking all day! But on day’s like this, where cooking is all I can think about, I have no problems using their 1.5 lb bags (and the fun part is choosing which potatoes you want to use!) 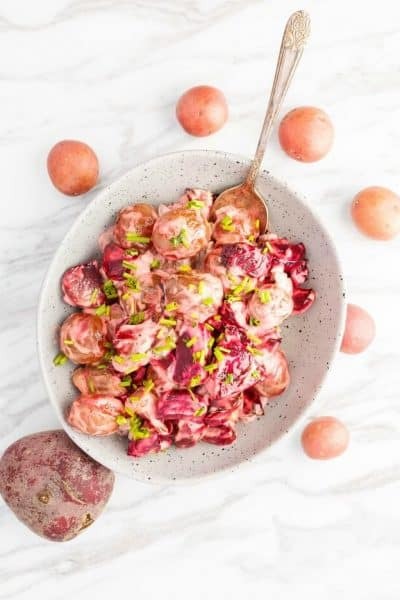 To be different, I decided to make these pan-fried Creamer potatoes and bacon with their Blushing Belle and Baby Boomers products because I wanted a varietal of flavours and colour. Over the course of 8 months we have been able to try 99% of The Little Potato Company’s potatoes and have loved every one! 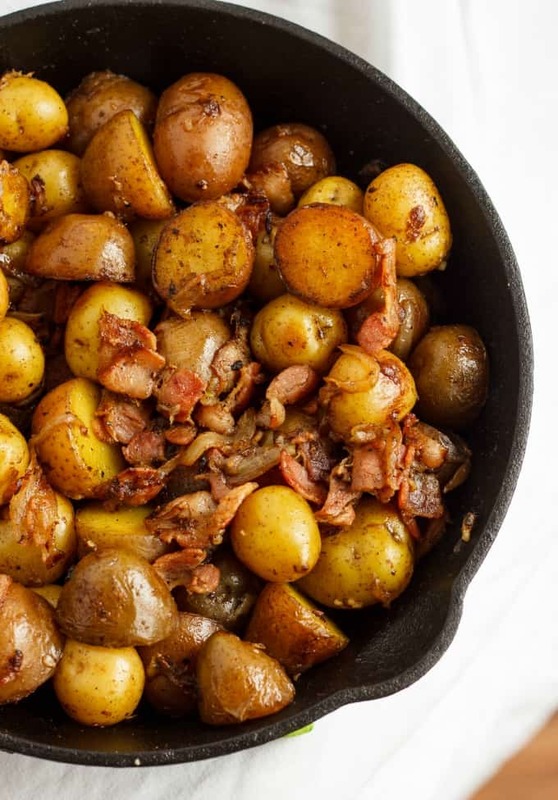 I still want to get my hands on a package of Something Blue potatoes, but I am sure that will happen one day 🙂 I mean, this is just an excuse to remake these pan-fried Creamer potatoes and bacon in the future. 6-7 slices of bacon (I used half of a 375 g package) sliced into 1-inch pieces. Add the potatoes and season with salt and pepper. Cook for roughly 20 minutes (or until nicely golden), stirring occasionally. You want a nice golden brown colour to them. Add the bacon and onion mixture back into the pan along with the fresh garlic. Season with salt and pepper. Cook for a couple of minutes or until garlic is nice and aromatic. Serve with yogurt-chive sauce on top! Place oil and butter in a small saucepan over medium heat. When hot, add in the garlic and cook for about 30 seconds. Pour in flour and cook for about 3-5 minutes, or until roux mixture is brown (but make sure you do not burn the garlic!) Raise heat and add broth, chives, and cayenne. Stir and bring to a boil. Reduce to a simmer and cook for 5 minutes, or until slightly thickened. Remove from heat and allow to cool for a couple of minutes. Stir in yogurt and serve over potatoes, topping with extra chives if desired. *Note: If you do not own a cast-iron skillet, that is fine. Use a frying pan instead. It may take a bit longer to brown the potatoes and additional butter may be needed if bacon grease is not sufficient. 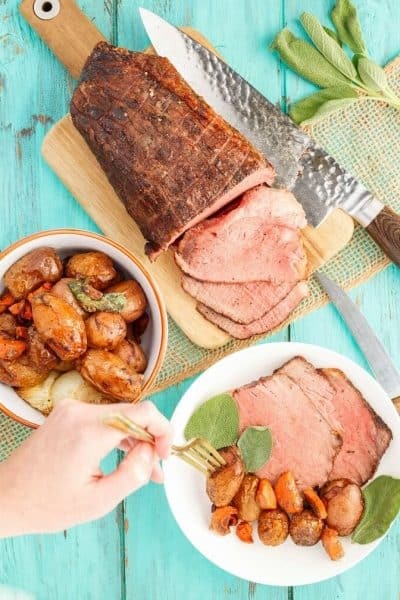 I know I have said it many times, but with back to school upon us we are all looking for recipes that stand the test against time, deliciousness, and ease of production. Breakfast is NOT my favourite meal to make at all. I feel I am not awake enough to function properly and I definitely am not imagining how my food will photograph as I make it. This being said, I am really worried what I am going to make my daughter every day before school. I am not a cereal eater, and she is, but I find that soooo plain! 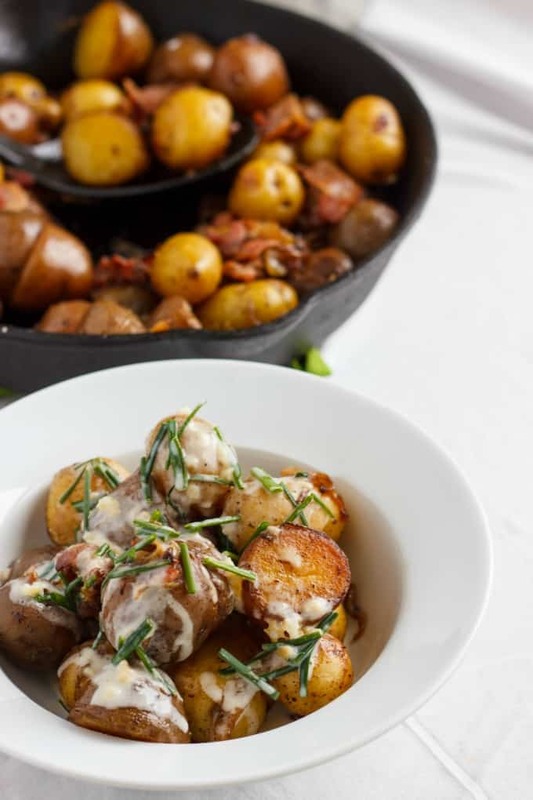 Dan is the same; he prefers something with a bit more sustenance (like these pan-fried Creamer potatoes and bacon.) We could technically have a dish like this prepared in time when she got up in the morning if I made the yogurt sauce the evening before while pre-boiling potatoes… Hmm, maybe I am panicking over nothing! Pan-Fried Fingerling Potatoes with Bacon, Roasted Baby (Creamer) Potatoes in a Homemade Mushroom Sauce (this was an unofficial post but still uses Creamer potatoes,) Smashed Potato Shepherd’s Pie, Easy Creamer Potatoes with Roasted Vegetables, Jalapeno Popper Stuffed Creamer Potatoes, Creamer Potatoes with Sausage and Peppers, Roasted Potato and Chicken Caprese Salad, Pizza Macaroni and Cheese using Creamer Potatoes, and finally, today’s recipe: Pan-Fried Creamer Potatoes and Bacon with Yogurt-Chive Sauce. 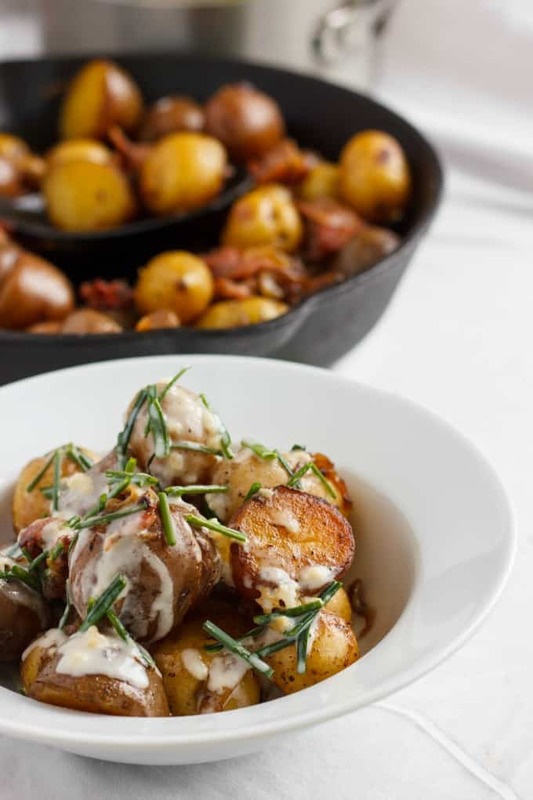 I love that yogurt is the basis for your cream sauce for these potatoes. I'm with your husband in that I'd eat every bit of these potatoes on any given day. Gosh I love crispy pan fried potatoes like this! These look so great and that sauce sounds fantastic! The perfect addition to our dinner table! Yum! This would be perfect on a rainy day like today. Comfort food with a crispy kick. Love it! Our family LOVES any type of potatoes for sides. These look absolutely perfect and super easy- Win-Win! These look delicious! 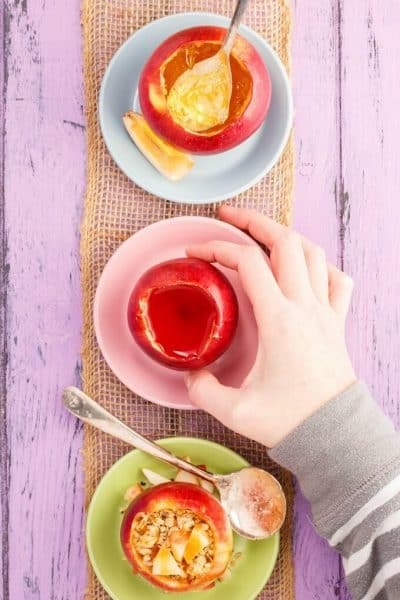 I love the idea of using yogurt in the recipe as a healthier substitute. Will definitely try it out. I never realized that I love how little the potatoes are from little potato! 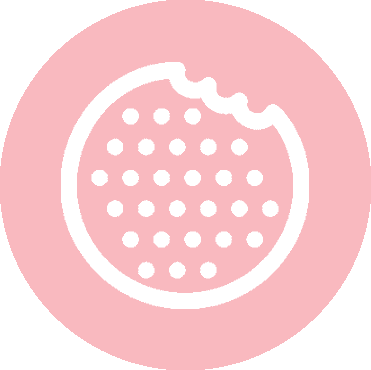 And they are always so perfect and round.. swooon!! Anything with potatoes and bacon and I'm game. This looks wonderful! Honestly I would have no problem eating this as a main dish as well! Sometimes the sides are the best part! I LOVE a good potato dish! That yogurt, chive sauce sounds right up my alley! Pinned! This looks amazing! Do you think these could be made on the BBQ? I honestly think you could! We always pre-boil our potatoes before we BBQ them anyway. YUM! Loving this! Thanks for stopping by #TryaBiteTuesday and sharing your delicious recipe! 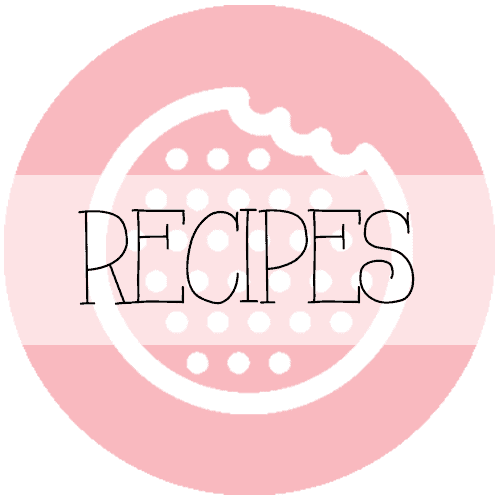 Featuring your recipe this week, also pinned - hope to see you back this week!